How secure is the Digital Review? What is an Image URL? Athletes that are not authenticated. Q. What is Digital Review? A. The Digital Review provides You with rapid analysis of Your collectibles by Global Authentics LLC. we offer this first step in taking some of the risk out of verifying Your goods. A. There is a one time fee for each item analyzed. Multi-signed items will be authenticated as a single-signed item at the Review Team's discretion. A. After Your payment is made, You upload an image and description of your collectible to our website. After the image and descriptions are uploaded, the Digital Review Team is sent a notification of Your order. They analyze each item based on the image sent and You are sent an email message with an opnion about the authenticity of each item. This message will also contain links that You can use to continue Your order . Q. How secure is the Digital Review and is my credit card info at risk? A. Your credit card is processed by PayPal which is one of the most secure providers in the industry. Global Authentics LLC does NOT store credit card information on it's website or anywhere on it's network. You can also pay using your PayPal account after which You will be directed back to Global's website to finish uploading the details about your order. 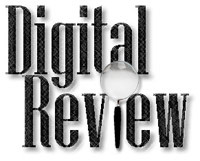 Digital Review has been built to comply with the most current html 4.01 specification. Q. What is an Image URL? A. An Image URL is the full web address or link leading back to the website that is hosting the image. Here is an example: http://www.globalauthentics.com/images/logo.gif . If you copy/paste this address into the address bar of your broswer, you should see just the logo from our website. This is good way to test whether the link is good before sending it to the Digital Review Team. Q. What's with the image file size limitation? A. A 1 megabyte image is more than large enough for the Review Team to effectively analyze. Images larger than this merely slow down your connection (and ours). Most digital cameras today can be adjusted to capture images at around this size fairly easily. A. For performance reasons we're starting with 1 item per online order. As interest in the service grows, we'll scale it up to 10 or maybe 20 items per order.